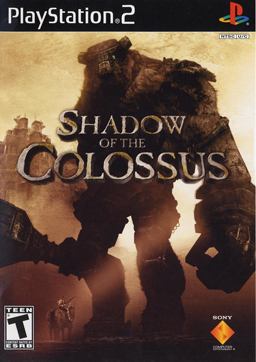 There’s no two ways about it: this experiment with Shadow of the Colossus is not going well. I sit down to decide what to do with my evening, and as my glance strays towards the PS2, SotC disc slumbering away in its tray, I remember that I have Space Marines to paint. Episodes of Glee to watch. Dishes to wash. The catbox could use cleaning. Apparently I don’t want to play this game anymore. There’s a lot to like about Colossus, and I touched on some of it in the last podcast. It’s beautifully atmospheric. The designs of the colossi are interesting, and the puzzles are interesting to figure out and solve. I’m just looking for a bit more, I suppose.